The more we hear about someone- about their qualities or activities, the more likely we are to develop a stronger relationship with them. Even in the Bhakti process, Sravanam or hearing is considered the primary activity that helps one develop their relationship with the Lord. 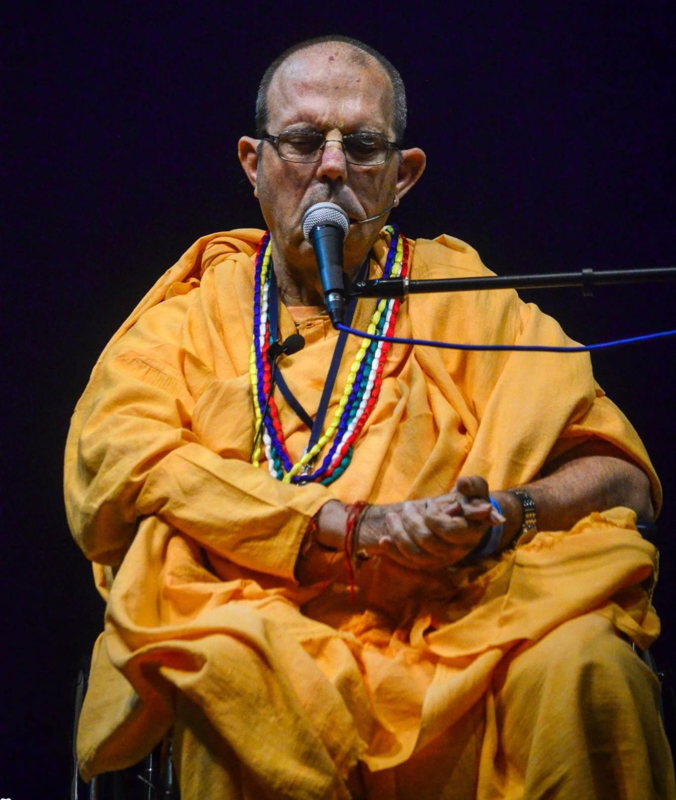 Thus, keeping this in mind, through this website we hope its readers get a chance to deepen their relationship with HH Jayapataka Swami by giving them a chance to gain an insight about his personality. "A devotee is also sometimes described as uttamaśloka, meaning that he is eager to glorify the Supreme Personality of Godhead or the Lord's devotees. 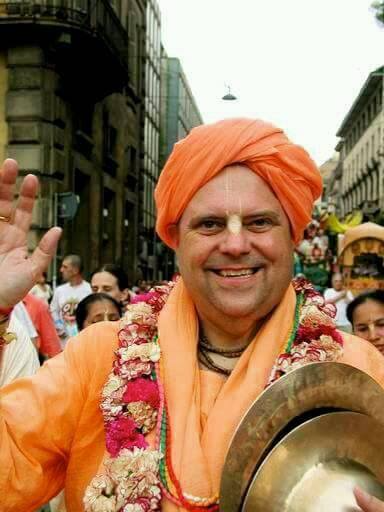 Glorifying the Lord and glorifying the Lord's devotees are the same. Or, rather, glorifying the devotee is more important than glorifying the Lord directly. Narottama dāsa Ṭhākura explains this fact: chāḍiyā vaiṣṇava-sevā, nistāra pāyeche kebā. One cannot be liberated from material contamination without sincerely serving a devotee of Kṛṣṇa." Kṛṣṇa and His unalloyed devotees cannot be separated, and therefore glorifying the devotee means glorifying the Lord and vice versa. Mahārāja Parīkṣit would not have been glad to hear about the glories of his forefathers like Mahārāja Yudhiṣṭhira and Arjuna had they not been connected with the acts of Lord Kṛṣṇa. 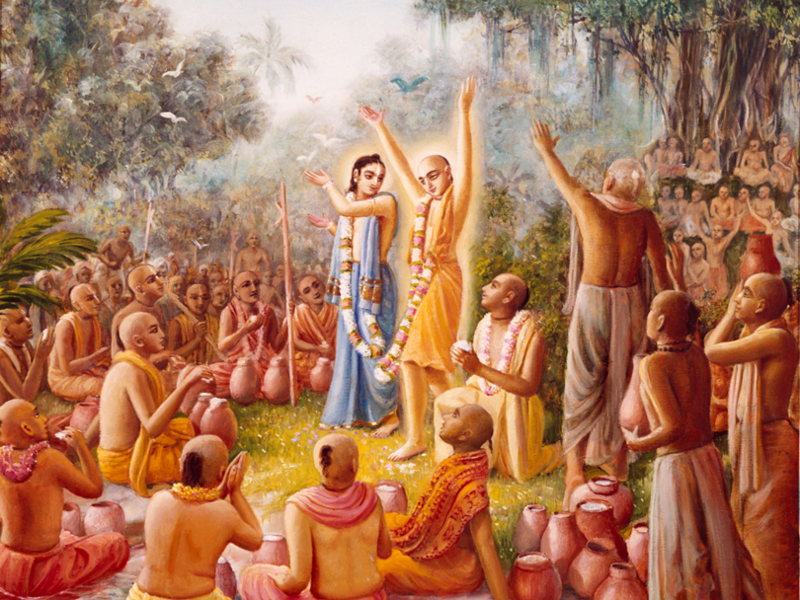 The Lord descends specifically to deliver His devotees (paritrāṇāya sādhūnām (BG 4.8)). The devotees are glorified by the presence of the Lord because they cannot live for a moment without the presence of the Lord and His different energies. 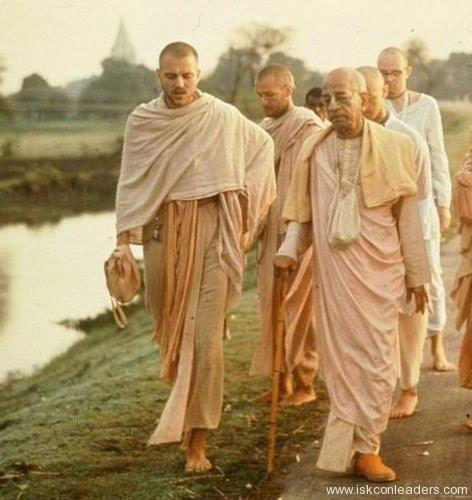 - Srila Prabhupada, (Srimad Bhagavatam-1:16:13-15-purport).